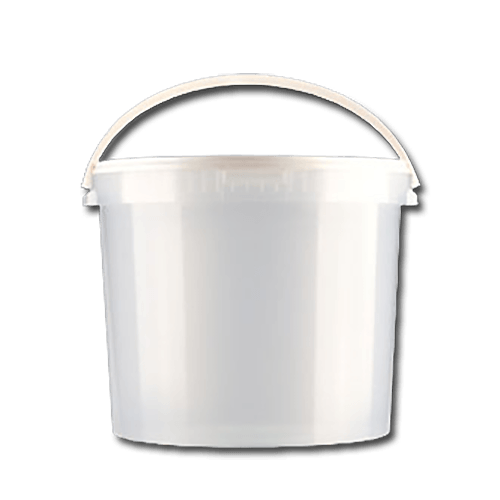 5000 ml.buckets from the transparent series made out of PP. 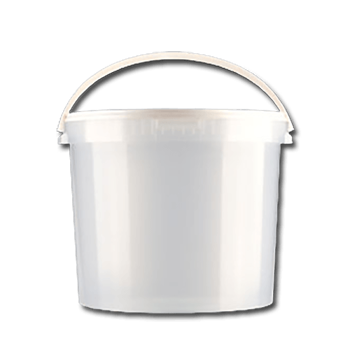 These buckets are usable for food products. These buckets are not filled empty plastic buckets. 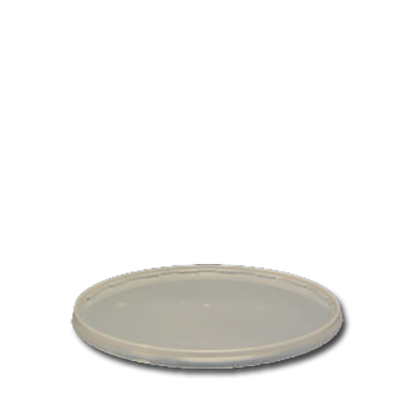 Polypropylene (PP) is known for its high melting point (90-120 degrees C), making it ideal for keeping hot liquids that cool in the bottles (eg, ketchup and syrup). It can be flexible or stiff. PP is used to package packagings for yoghurt, margarine, takeaway meals, and daily fresh foods. It is also used for bottles and jars used in pharmacy, caps and some household items. It has been identified as number 5. Full name of the material = Polypropylene (also called polypropylene). PP bottles and jars are standard semi-transparent (milky white transparent) or completely colored in white (other colors are often possible on request). PP bottles and jars are usually suitable as "Food" packaging. PP bottles and jars have a deformation temperature of +/- 120 degrees C.
PP bottles and jars are well resistant to chemical solvents, bases and acids. PP stands for polypropylene, a strong and flexible form of plastic that is very resistant to chemicals and operations. Polypropylene can be found, among other things, in jerry cans, plastic furniture, storage trays, straws and car parts. Although the production process of PP is not considered completely safe, nothing indicates that the end product poses health risks. 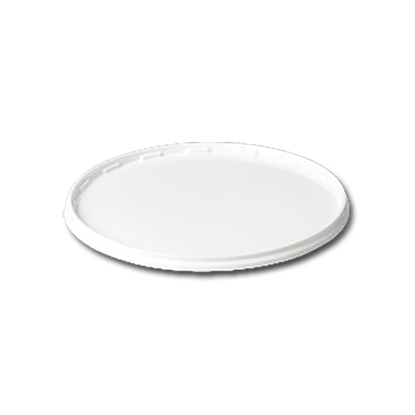 Green light therefore concerning polypropylene, both in the field of health risks and the ability to be recycled.